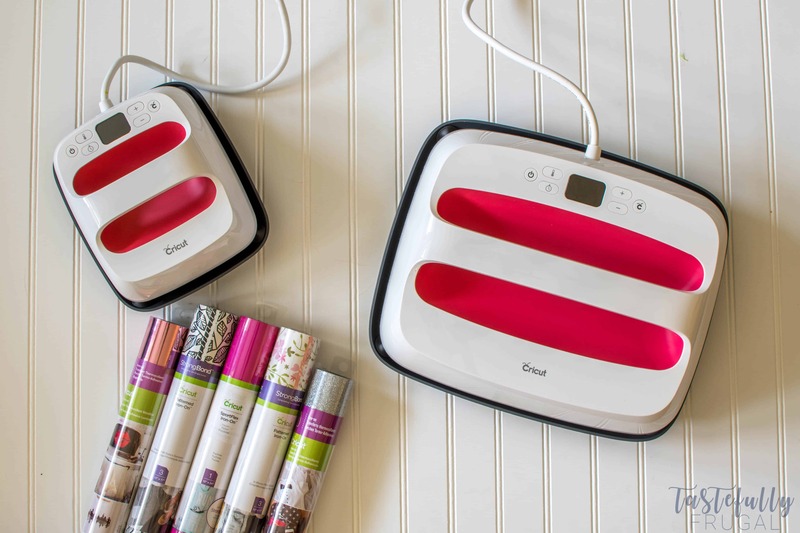 Get your first look at the new Cricut EasyPress 2 Machines announced at the Cricut Mountain Make-a-Thon! The Cricut team does it again! 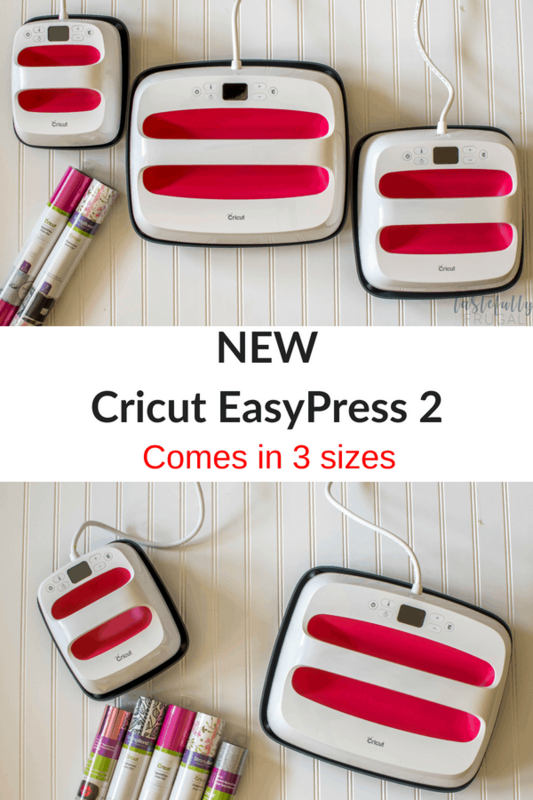 Last year at the 1st Annual Mountain Make-a-Thon they announced the launch of the Cricut Maker and Cricut EasyPress and at this morning’s general session, Cricut CEO Ashish Arora announced the EasyPress 2 machines available in THREE SIZES! Maybe I’m a craft geek but I’m so excited about the possibilities with these new machines! It comes in three sizes. 6″x7″, 9″x9″ (what the current EasyPress is) and 12″x10″. Each size is designed with different projects in mind but you can really use any of the three on any iron-on project. They also get hotter, faster! 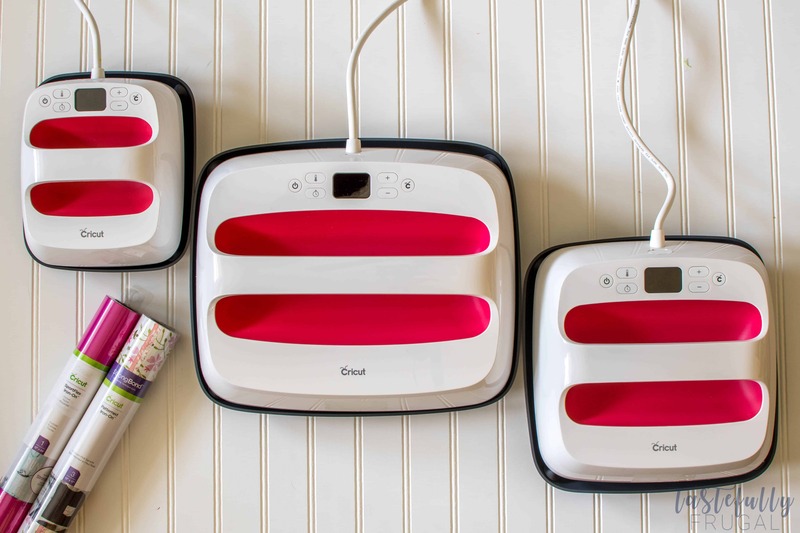 The Cricut EasyPress 2 can heat up to 400°F and can reach temperature in 1-3 minutes (depending on the size and temperature). They remember temperature and time settings! If you remember my review of the EasyPress vs Heat Press, the ONLY thing I wish the EasyPress could do that the Heat Press does was remember the time and temperature of the last press. And now it does! Thicker heat plate and more evening heat. The EasyPress had a +/- of 9°, the new EasyPress 2 has a +/- of 5°. The 12″x10″ hardly requires any pressure when pressing! I used it to make a pillow last weekend and had my 5 year old press on it and it worked great! Easy to use and change temperature and time. There are new EasyPress mat sizes currently available for use on either the EasyPress or EasyPress 2 machines. 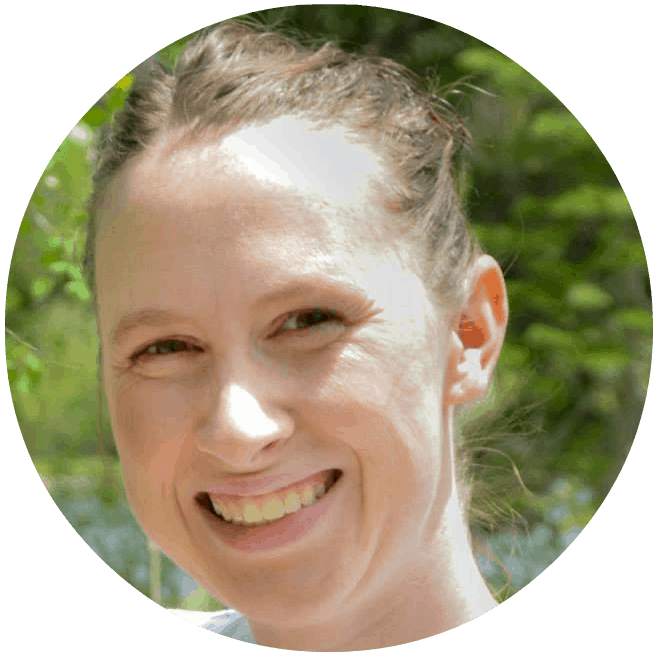 You can currently order an 8″x10″, 12″x12″ or 20″x16″ mat. New Carrying Bags just for the EasyPress machines! They are quality tote bags with a similar style to the rolling tote and craft bags available on Cricut. They come with a strap to hold your EasyPress in to place and can handle temperatures of up to 400°F. Storing and transporting your EasyPress has never been easier! EasyPress bags will be available early 2019. So How Can I Get My Hands On One of These New EasyPress 2?! As always when you’re shopping on Cricut.com use code TFRUGAL to save 10% and score FREE shipping (though I’m not sure if the code will work with the new EasyPress 2 machines). And keep your eyes peeled on the Facebook page and in our Cricut Support Facebook Group to be the first to know when they are available for purchase!